Tactic: Use saved segments to track updates from the prospects you care about. 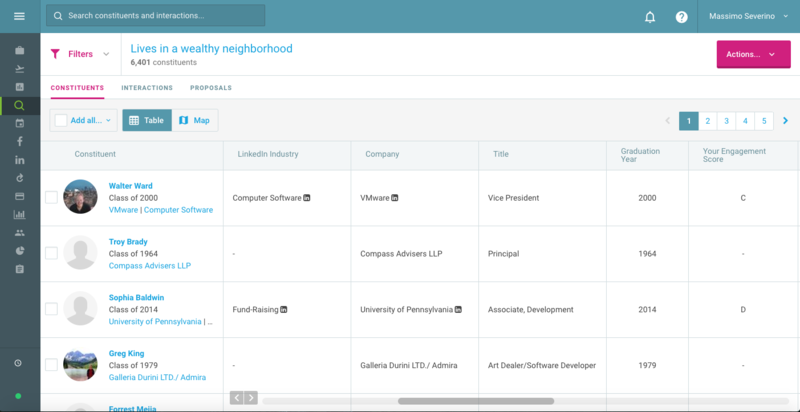 It’s easy to view your portfolio into EverTrue if your operations team has loaded that information into our platform. Start with a basic search for “Assigned To” donors and your name. From here, you can add additional layers to track additional information and save these search segments to come back to often.We have some recommended segments. 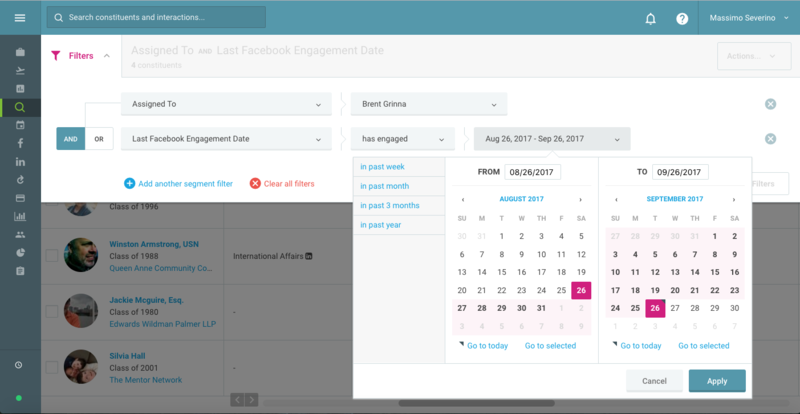 First, start with your portfolio and add a search for “Facebook Engagement Date” of the last week or month. Come back often to see how your portfolio is interacting with your social content. You can also see if your prospects have liked, commented, or shared Facebook posts on certain topics—scholarships, sports, science—anything that aligns with your institution’s ongoing campaigns. Search to see if your constituents have recently made a gift, attended an event (if you’re passing that information to EverTrue), lives in a wealthy neighborhood or more. You can save each of these combinations of filters for repeated use by saving them as individual segments. Return to review these segments often for up-to-date intel on your portfolio. Results: Know the prospects in your portfolio better, understand their interests, and respond to their outreach in a timely manner.